AVP Fence started as a family run business. We love putting up fences. "A" rating on Angie’s List for 10 years. 33 years experience in the Fence Industry. Here’s the straight truth. We don’t have sales guys that promise something we can't deliver. We're on the job all day every day. We're owner operated. People like to see the bosses work. And we do! We’re family owned. Licensed. Bonded. Insured. You get the boss on the job the whole day! – "Very pleased with the result. The work was completed in the timeframe we agreed upon and the fence looks great. No small detail was overlooked." – "Paul and his crew were great. He managed the whole project from start to finish-listening to our needs, planning the materials and time. Paul committed to a price and that's what he charged. No surprises or problems. The fence looks great and we would recommend AVP for any fencing project." – "Paul was excellent! Finished on time and cleaned up beautifully!" – "He repaired our fence exactly the way we asked him to. He also did the painting, which was a big plus, because we just did not have the time before the cold weather. – "He did extra brush removal around the work site. The work area was left clean and neat. The company staff was pleasant and up- beat. The communication was prompt. If he was a little late he called. He did all work that he could off site, which saved us time." – "They took down our old wooden pool fence and replaced it with a gorgeous white vinyl fence with a 30 year guarantee. It went fabulous. The day that Paul came and gave us the estimate, we knew he was going to do a great job. He was very personable and understood exactly what we wanted. They showed up on time and worked proficiently and did remove and replace each section so that there was never an opening that our dog could get out. The workers were all very nice and our fence looks terrific. We would definitely hire them again and would highly recommend them to everyone." – "He took down my old wood fence, and put up a vinyl one. It was done professionally, and he was there with his workers the whole time. I also had him put up a previous section 5 months before. I have to space out do to finances, and he was fine with that. He is very funny and talkative, and will work with you and help you out whenever needed. I have dealt with alot of contractors in my day.. and he is a pleasure to deal with. It was done professionally, and he was there with his workers the whole time. I also had him put up a previous section of vinyl fence 5 months earlier. I had to space out due to finances, and he was fine with that. He is very funny and talkative, and will work with you and help you out whenever needed. I have dealth with alot of contractors in my day, and he is a pleasure to deal with. I need a small pole put in, and he will be doing that soon also." – "I can't say enough good things about Paul and AVP Fence Company, but here are a few examples of why I so highly mrecommend them: Paul was the first to call when we were gathering estimates, and he stayed in touch throughout that process. AVP's prices were the most reasonable of all the estimates we received. Their work was excellent and they worked everyday as promised. They arrived either on time or early. They asked if it would be okay with us if they worked on a Sunday to make up for a day lost to rain. The entire crew was professional and friendly and they finished the job ahead of schedule. We could not be more pleased with the fence and the work they did. 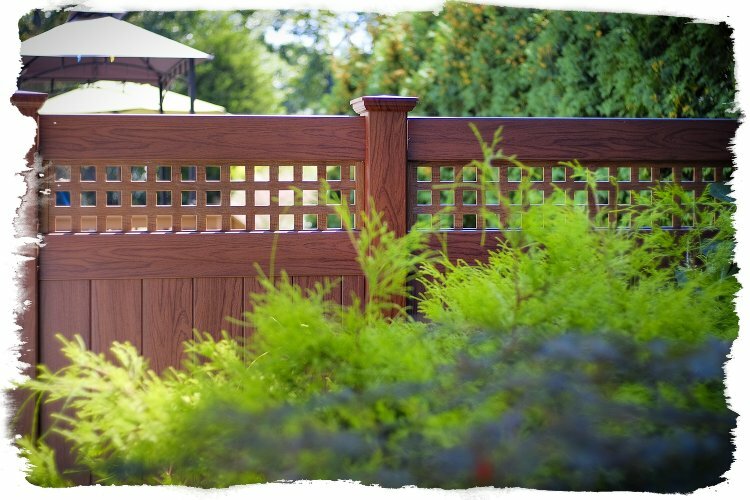 If you're planning on adding a fence, I strongly suggest you contact Paul at AVP."